Are you a Tiger Mom, a Dolphin Mom, or a Jellyfish Mom? We made a list of three parenting styles and how they can affect your kids. Our modern world has set great goals and expectations for the younger generation. The good news is that parents now are not just focusing on academic excellence, but equal importance is also given to their child's psychological health and socio-emotional well-being. Parenting styles have also changed through time. Did you ever wonder about the effects of your style on your child? We made a list of three different styles below, which one are you? Similar to helicopter parents, these are moms who tend to follow a really strict structure—from the moment their kids wake up, until they have to go back to bed. Tiger Moms have this strong belief that the key to success is to stay on top of things. They tend to give high importance to academic succes, which can sometimes lead them to take play for granted. And even if they do let their kids play, it's still filled with organized activities. If you feel you want your kids to strictly stick to a schedule and a well-defined structure, you could be a Tiger Mom. Of course, there is absolutely nothing wrong with that, but you also have to realize that you can only do so much. You are your child's guiding light and making all the decisions for him when he is young, might backfire when he gets older. He might not learn to make decisions on his own. They may also grow up driven only by the reward system and they may have a lot of fear of punishment when they commit mistakes. Your kids might also grow up without the ability to solve life problems independently. On the bright side, kids who grow up exposed to structure may grow up to be highly organized adults who can manage one task after another without difficulty. This is a child-led parenting style that tends to put great emphasis on "what my child wants". Parents act as friends rather than the authority, providing little directions and rules for the child. Routine and schedule are not strictly followed at home, which gives children all the time they want for unstructured play and spontaneous co-curricular activities. Jellyfish moms do not expect a lot when it comes to their child's academic performance and do not rely on grades as basis of success. Children of jellyfish parents appear to be more confident with their capabilities and are driven to achieve based on self-motivation. Firm and flexible just like the dolphin, a dolphin mom tries to create a balanced lifestyle by making concrete rules and consequences yet allowing her children to make their own life choices. If you constantly collaborate with your child when it comes to his daily tasks, you may be a Dolphin Mom. Dolphin Moms offer a lot of praise when kids do a good job. They also offer a firm but supportive hand when the kids need help. They support unstructured play and allow the kids to choose activities that appeal to their interests. Kids with a Dolphin Mom grow up to be more creative. They have the ability to make their own decisions, and they are not afraid to make mistakes. 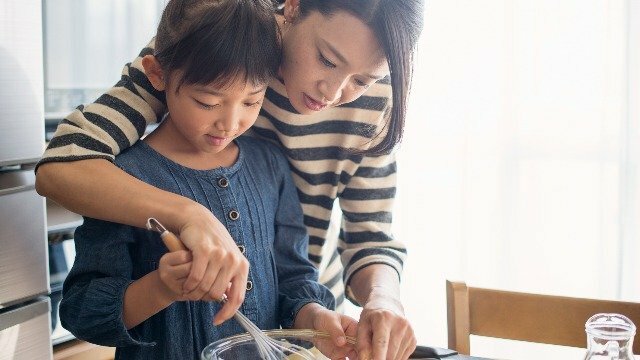 If you identify to any of these parenting styles, keep in mind that these are only different paths, which all eventually lead to one goal—that is to raise a happy, self-supporting child. Apart from your parenting style, there are also other factors that will contribute to your child's growth—like the friends he makes at the playground and the lessons he learns at school. Even the food you give him can contribute to how he would grow. 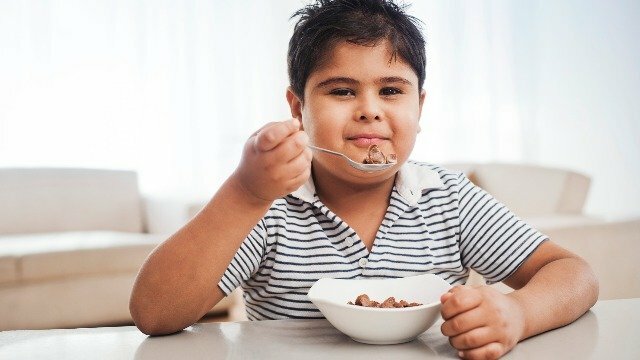 One way to ensure your child grows up to be happy and healthy is to start your day with a good breakfast packed will all the nutrients he needs. If you don't have much time to make him an elaborate meal in the morning, you can give him breakfast cereals like KOKO KRUNCH. KOKO KRUNCH is made with whole grain as its number one ingredient. Whole grain can provide your kids more nutrients like fiber, vitamins and minerals. Whole grain-rich breakfast cereals are also found to contain valuable antioxidants not found in fruits and vegetables. With KOKO KRUNCH and its great chocolatey taste, your kid will enjoy a wholesome breakfast to start an awesome day! This article was created by Summit StoryLabs in partnership with Nestle Koko Krunch.